The International Conclave on "India: The Global Destination for Higher Education" was organized by IIT Kharagpur Alumni Foundation (India) here in collaboration with Pan IIT Alumni India. The objective of this international conclave was to usher in an atmosphere of excellence and quality in our top 10 percent institutes of higher learning so that they start attracting the best students from all over the world and thus India becomes once again a global destination for higher learning. One of the key objectives of this conclave was to put in place a joint task force of the MHRD and educational institutions to achieve this goal. Minister of State Higher Education Dr. Mahendra Nath Pandey inaugurated the conclave as chief guest and HRD Minister Mr.Prakash Javadekar addressed audience through video telecast. Through his message, Prime Minister Narendra Modi congratulated IIT Kharagpur Alumni Association and the Pan IIT Alumni Association for organising this international conclave which is a subject of great vitality. He mentioned that historically, in a 'Gyaan Yuga' or an era of knowledge, India has shown the way to humanity. The 21st century, being an era of knowledge is a time of immense opportunity for India to once again make a mark as a centre of quality education. India as a home for the brightest minds have made a mark through their quality research and academic excellence. India also being producer of the sharpest young minds creating academic curiosity. Its the time to harness these strengths and nurture quality institutions to groom thoughts leaders of tomorrow. HRD Minister Mr.Prakash Javadekar via his Video address mentioned that there is a new dynamism and vigour in the area of higher education in India. Soon India will be a Global Destination again for Higher Learning and occupy its rightful place of being called Vishwaguru. While inaugurated the conclave chief guest, Minister of State Dr. Mahendra Nath Pandey expressed pleasure to see top academicians on one platform to usher in an atmosphere of excellence and quality of top 5 institutes of higher learning to attract the best students from all over the world. The conclave was attended by Directors from IITs, IIMs, NITs, IIITs and Chancellors/Vice Chancellors of reputed government and private universities that have the potential to attract foreign students. Some top policy makers, academicians, and corporate leaders also attended the conclave. There were four sessions for discussion - Challenges and Opportunities for Government Institutions focusing on quality of education, Contribution of Private Sector Institutions and future plan to focus on creating International level infrastructure and the outreach programs ,Global Alliances- Opportunities and Challenges to focus on international students and Likely challenges and explore possibilities of joint programs, exchange of faculty and students and National Policy and Initiatives for Indian Institutions to map the way forward. Task Force Formation to achieve the mission would keep on striving till the cherished goal is achieved. 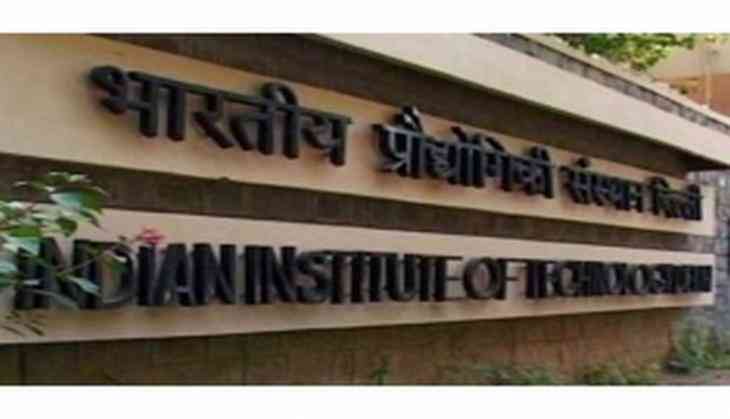 Today, under the banner of Pan IIT Alumni India, a large number of active retired academicians, industrialists, defence officers, bureaucrats and scientists are available who can transform a large number of private universities into globally competent universities. An extensive collective outreach programme would be launched to achieve this cherished goal. In this regards, Indians settled abroad would play a very effective role so that India becomes a Global Destination for Higher Education once again and regains its past glory.